Most of the people have moles since their birth or develop at any stage of the life. Sometimes they become a cosmetic problem. Moles are referred as dark spots on the skin which are formed because of too many melanocytes. 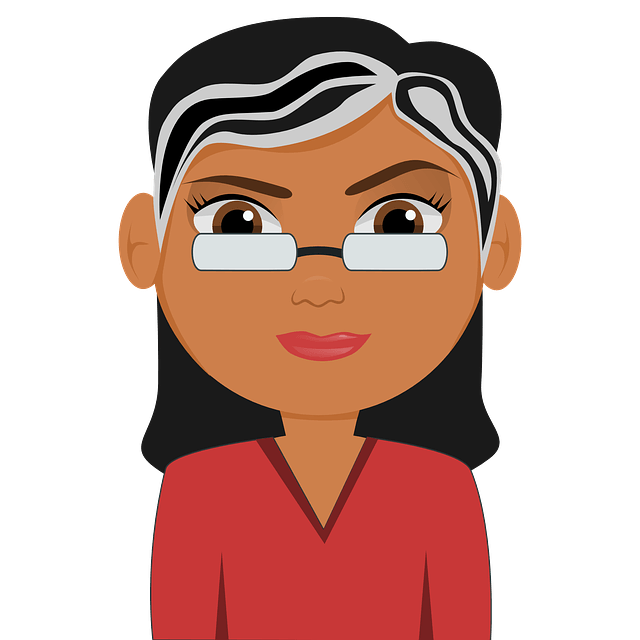 Melanocytes are in charge of melanin production in our body. Dermal melanocytic naevi, junctional melanocytic naevi and compound melanocytic naevi are three types of different moles. They are differentiated according to color and texture. Sun exposure, hormonal fluctuations and genetics are some of the reasons for the excess production of melanocytes. Usually, moles are quite harmless but abnormal growths can be cancerous. If the moles are blue, pink or gray in color or change their shape regularly then they should be diagnosed by a dermatologist. If you have normal harmless moles and looking out for methods to remove them completely then you have a variety of choice to choose from. Surgical methods can be costly and painful but home remedies like apple cider vinegar, castor oil or tea tree oil can be effective in removing them without any side effects. Wondering how tea tree oil can remove moles completely? The anecdotal properties of tea tree oil work as mole remover. Even the moles that are not malignant or embedded deeply in the skin can also be removed by tea tree oil application. It can be used on any part of the body. Depending on the size of the moles, it can take a couple of weeks to get rid of it completely. Unlike surgical methods, tea tree oil removes a mole without any side effects. How to Use Tea Tree Oil For Removing Moles? 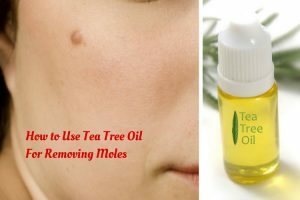 There are certain techniques which will help in removing moles using tea tree oil. You can follow any of these methods and try it regularly for effective results. This method helps to lighten the moles slowly and heal the skin completely. This process is not so messy and easy to follow regularly. Take a small cotton ball and dip it in a small amount of tea tree oil. Place the cotton ball on the mole and tape it with an adhesive tape. Leave it on for few hours and remove it. Rinse off the area with water. Repeat the process 2 – 3 times a day until the mole disappears. Note: If the application is causing any burning sensation then dilute it with any carrier oil. Take one drop of tea tree oil. Apply it on the mole and leave it to dry completely. Repeat the process 2 – 3 times a day for at least 7 – 10 days. If you are allergic to tea tree oil then please avoid using it. Never ingest tea tree oil as it is highly toxic. Patch test to know whether you are allergic to tea tree oil or not. As some people have hidden allergy to tea tree oil. Never apply tea tree oil on sensitive or genital areas. Tea tree oil can stain the clothing so make sure to wear old clothing while using it. Harmful sun rays can also develop moles so it is recommended to apply sunscreen before going to bed. Don’t attempt to try surgical methods to remove moles at home. It can cause infections and worsen the skin condition. Surgical methods should only be performed by professionals. Avoid tanning beds if you have more number of moles on your body. It is recommended to include potassium and citric acid rich foods in your daily diet. They help in discouraging the excess production of moles. Never scratch or pluck the moles as it can worsen the condition. We hope you will try tea tree oil for removing your moles. If you have any doubts, queries or suggestion regarding this article, write to us in the comments section below. how will you know when to stop using the oil, when if forms a black scab? or will it just keep getting smaller and smaller as the days go on until its gone? I have a mole remover. I notice that my mole protruded out from my skin. It is still dark in color. The length is about 1/4 inches out of the skin. the mole remover is natural ingredients. Can I use the Tea Tree Oil on top of the natural ingredients.